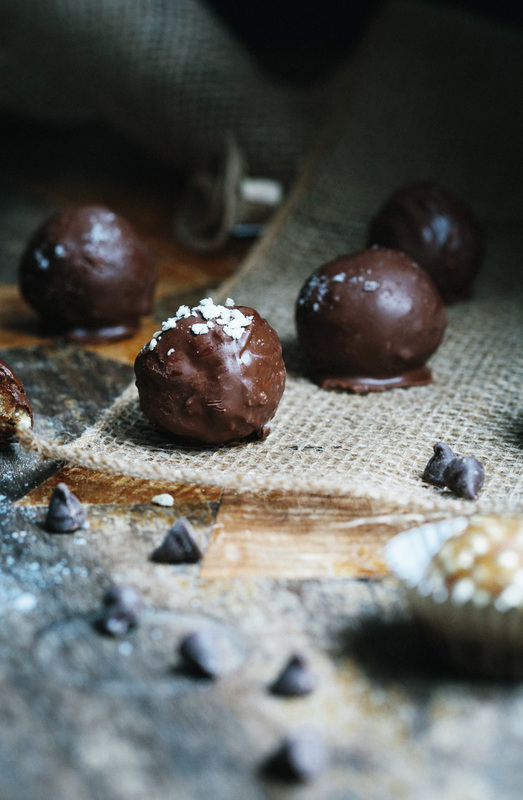 As a Father’s Day treat, I created these raw caramel fudge truffles for the Husband. His favourite chocolate treat is the Chokito bar and for those below the Equator lucky enough to have tried one, you’ll know they are all things wonderful. Caramel fudge with rice crisps enveloped in wicked chocolate. 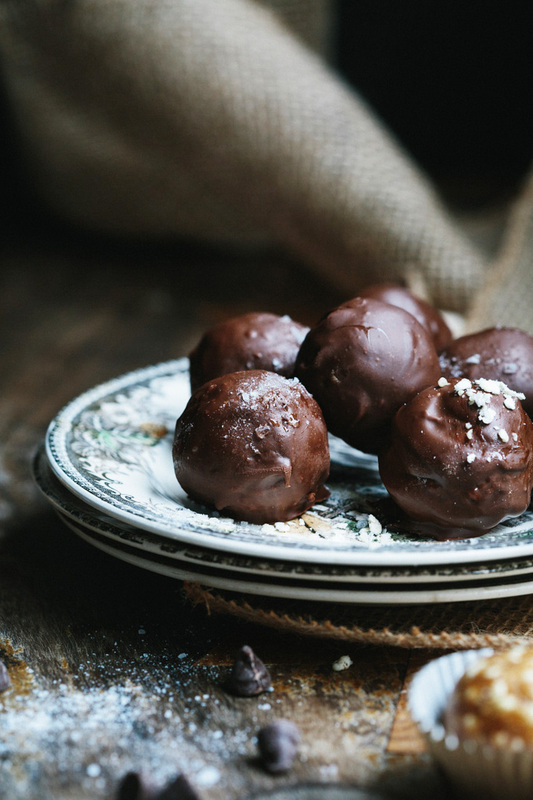 This raw caramel fudge truffle recipe swaps out the junk found in most commercial chocolate bars for sticky, sweet dates, cashew butter and millet crisps. I did not swap out the wickedness; these truffles are a wonderful naughty but nice treat. While I love making raw snacks and treats, I always thought the price was prohibitive and curbed my enthusiasm accordingly. However, in recent weeks I have been working on a raw Snickers recipe and while I did spend $17 on a single batch, I got 10 bars from the recipe. Here in Australia, chocolate bars sell for around $2 a pop, unless on sale so I figure these raw versions are price competitive. We won’t mention the giant green elephant in the room that these raw treats are decadent and delicious minus the E-numbers and preservatives found in commercial bars. Oh, wait…I mentioned it. Anyhoo, let’s not muddy the chocolate waters with talk of finances. Let’s talk raw caramel fudge truffles; gorgeous sweet, sticky truffles coated in smooth melted chocolate. These truffles are glorious without the chocolate however I find as a general rule, all things are improved by melting chocolate. I used a dark, dairy-free chocolate from our organics store and added cashew butter to lighten to a more milk chocolate-like consistency. Alternatively, you could make your own raw chocolate. 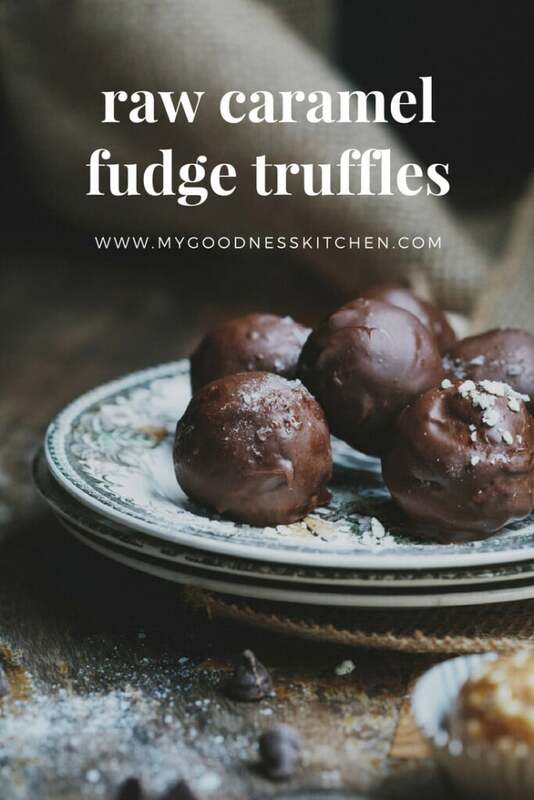 Either way, this recipe for raw caramel fudge truffles is a deliciously sweet, fudgy treat ready in 30 minutes. For most that’s quicker than a trip to the shops. Also, it’s a recipe the kids can help with making it perfect for gifts. But who am I kidding? These lovelies aren’t making it out the door. A quick note on ingredients, I use medjool dates but snack dates soaked in boiling water and drained will work too. The original Chokito has rice puffs/crisps in it but I had millet puffs in the pantry – I have no idea why, my pantry is a depository of randomness – so I used those. Millet puffs are also smaller and easier to manage but if you have rice puffs, by all means use them. You might want to crush them a bit before working them through the final truffle mix is all. Finally, I sprinkled sea salt on a few of the truffles before putting them in the freezer for a salty bite. I also crushed the millet puffs for sprinkles and left some plain. However you enjoy your truffles, enjoy them with those you love. To my own Mr Magoo and father of elves, enjoy your Chokito-inspired truffles and thanks for helping me bake an awesome Elf-child. She is pretty wonderful. Must take after her father. 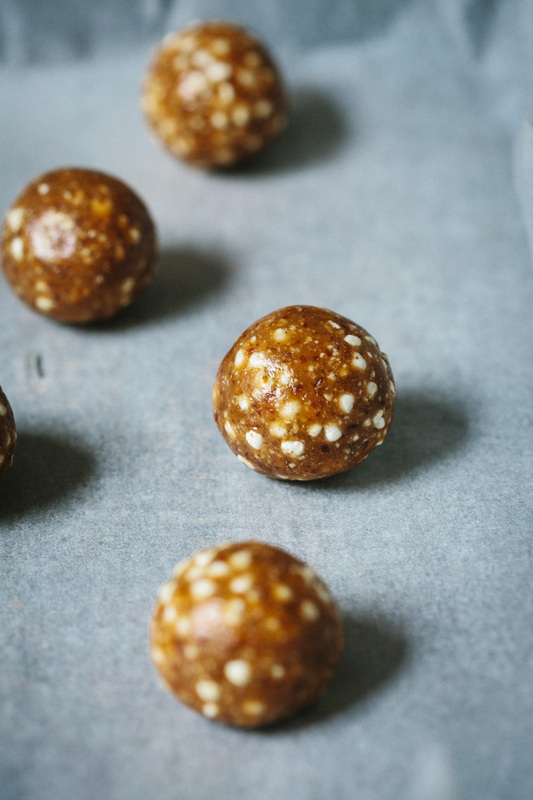 This raw caramel fudge truffle recipe swaps out the junk found in most commercial chocolate bars for sticky, sweet dates, cashew butter and millet crisps. 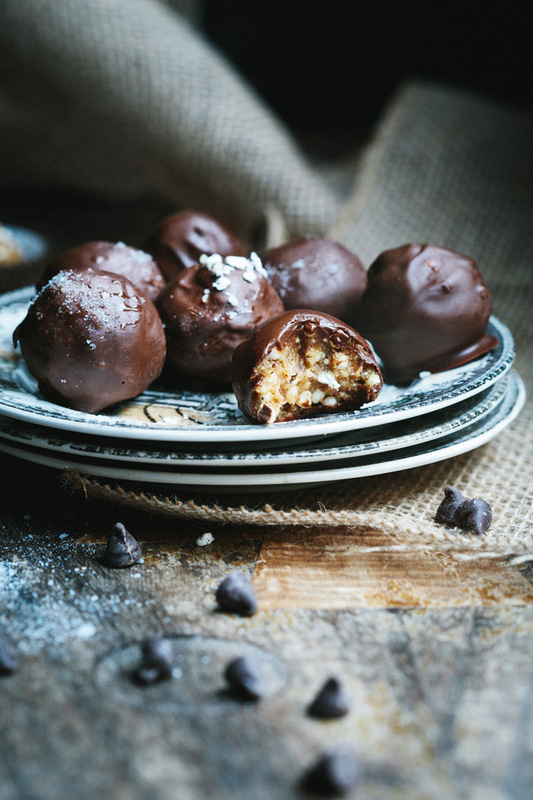 To make the caramel truffles, put the cashew butter, dates, 1/2 cup millet or rice puffs, vanilla extract and maple syrup in a food processor and blitz. Add 1 tablespoon of water if the mix isn't coming together. If necessary, add a dash more maple to get things moving. When the truffle mix comes together in a ball, remove it from the mixer and put it in a large mixing bowl. Add the other 1/2 cup of puffs and using clean hands, mix through. Once combined, roll the mix in to balls - I use around a tablespoon for each. Lay the balls on a tray covered with baking paper and pop in the freezer. To melt the chocolate, set up a double boiler with a heat-proof bowl on top of a saucepan. Fill the saucepan 1/3 up with water and put on low-medium heat. Add the chocolate to the heat-proof bowl and gently heat until melted, stirring. If using dark chocolate, add a spoon of cashew or almond butter and stir to combine. Add coconut oil to thin out chocolate if needed. One at a time, drop a caramel ball in to the melted chocolate, coat well and remove with a fork to remove any excess. Return to the freezer to set. Repeat. Leave in the freezer for 10 minutes to set. Store in the freezer or the fridge in a covered container. Whoa!! I’m hoping that if I stare at these pictures long enough, they’ll come to life and appear in front of me. 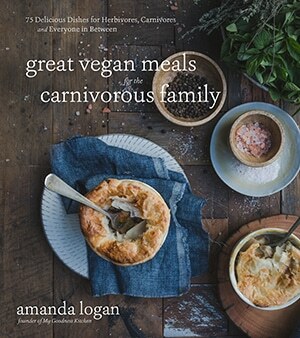 But, in the meantime, I’ll bookmark this recipe and pick up some puffed rice asap! Great post! Ahaha, thanks Nicole. I hope you love them as much as I do. Happy shopping and eating! Thanks for the visit and sweet words. these do seem very decadent – I believe I might have everything in the cupboard that I need to make them, so it would be very wrong not to:) thank you! Yum! They look soooo good! Thanks Rebecca. I love the puffed millet too; smaller and easier to manage. Thanks so much for dropping by.